Companies utilize traditional financing by working with a lender to borrow a portion of the value of their building (currently 60-70%). They make monthly payments that include interest and principal payments, and gradually pay down the balance of the debt. While amortization schedules are generally longer, the entire loan often has a bullet in that it must be repaid at the end of a short term, usually 5 or 10 years. This creates a major financial challenge to most companies. In a sale-leaseback, companies looking to extract equity out of their real estate sell it outright to an investor and immediately execute a lease on the property. These leases are typically long term and triple-net, meaning that the tenant is responsible for all of the property’s expenses. Investors receive fixed monthly payments and the tenant has full control over the property for a long period of time. Frequently the tenant has renewal options enabling them to possess the property for as long as they want. Retain Control of the Real Estate “ As an absolute net lease; the tenant is responsible for the taxes, insurance and maintenance among other things. This type of hands off lease provides the tenant with similar control over the property as was the case when the tenant owned the building. AIC will often assist with improvements and expansions if desired by providing the capital and amending the lease. Tax Savings – Generally, lessees are able to write off their entire lease payment where, as property owners, they were only able to write off interest expense and depreciation. 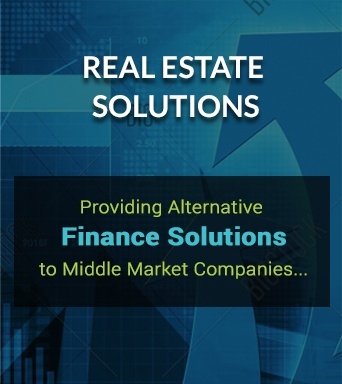 100% Financing “ Unlike traditional financing, sale-leasebacks are structured to purchase real estate for Fair Market Value, 100% of the value of the real estate. Traditional mortgage financing may only provide 60-70% of the value. No Financial Covenants – Because a sale-leaseback is not technically a financing instrument it has few covenants on the company. Fewer covenants provide a company with greater control over its own business and operations.